John Martin, left, and Heath Holtz. NASHVILLE -- Nissan manufacturing veteran John Martin will move up to the role of executive vice president for manufacturing engineering and supply chain management for the global Renault-Nissan alliance. The promotion, effective Oct. 1, will put Martin into the role of accelerating the integration of manufacturing and supply strategies within Nissan, Renault and its newest global alliance partner, Mitsubishi. Nissan announced the move in a statement Wednesday. Renault-Nissan Chairman Carlos Ghosn lately has been pressing the alliance to speed up its efforts to co-develop vehicles and reduce operating costs through smarter component sourcing. Martin joined Nissan in the UK in 1991 and rose to head the company's Europe manufacturing, supply chain management and purchasing operations. Since January 2014, Martin has been Nissan North America's senior vice president for manufacturing, supply chain management and purchasing. Martin will replace Jerome Olive in the global position. According to a statement from the Alliance, Olive "has asked to be relieved from operational duties for personal reasons. He will be leading a mission to establish an Alliance Institute." 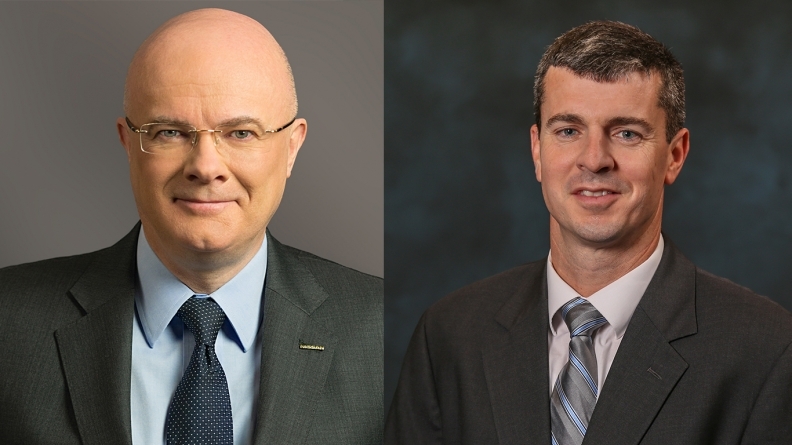 Martin will report to Thierry Bollore, Renault chief competitive officer, and Yasuhiro Yamauchi, Nissan chief competitive officer. Heath Holtz, currently vice president of manufacturing for Nissan's Smyrna Vehicle Assembly Plant outside Nashville, will succeed Martin as senior vice president over North American manufacturing, supply chain management and purchasing. The position is responsible for all aspects of vehicle and component production and sourcing in the U.S. and Mexico. He will report to Jose Munoz, chairman of Nissan North America. Holtz was named vice president over Smyrna in 2016 and, like Martin, came to North America from Nissan's booming UK production plant in Sunderland, England. Jeff Younginer, director for product quality at Smyrna, will take over Holtz's position as vice president of manufacturing at Smyrna.